Researchers from the Centers of Disease and Control (CDC) published a study that indicates that rotavirus vaccines have substantially decreased children hospitalizations. Rotavirus is a virus that spreads easily among infants and young children. It has been associated with approximately 40% of childhood hospitalizations for diarrhea and vomiting. The rotavirus virus can cause severe watery diarrhea, vomiting, fever, and abdominal pain. 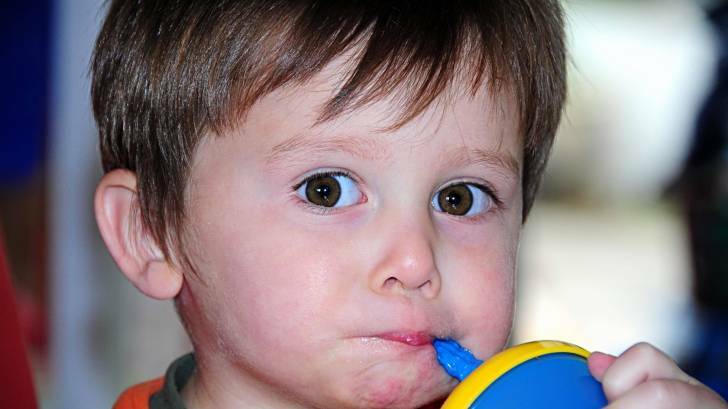 Children who get rotavirus disease can become dehydrated and may need to be hospitalized. RotaTeq™ (Merck) and Rotarix™ (GlaxoSmithKline) vaccines, developed to prevent rotavirus diarrhea in children under five years old, were both introduced into national immunization programs in 2006. Both vaccines are given by mouth (orally), not by a shot. The first dose of either vaccine is most effective if it is given before a child is 15 weeks of age. Also, children should receive all doses of rotavirus vaccine before they turn 8 months old. Rotavirus vaccine can be administered with the DTaP vaccine, Hib vaccine, IPV, hepatitis B vaccine, and pneumococcal conjugate vaccine. The CDC reports that the rotavirus vaccine does not interfere with the immune response to these vaccines. The infant's immune response to influenza vaccine administered at the same time as rotavirus vaccine has not been studied. However, ACIP (Advisory Committee on Immunization Practices) has recommended previously that an inactivated vaccine (e.g., inactivated influenza vaccine) may be administered either simultaneously or at any time before or after a different inactivated vaccine or live vaccine (e.g., rotavirus vaccine). A vaccine, like any medicine, can have side effects. These are usually mild and go away on their own. Serious side effects are also possible but rare. Efficacy, safety and effectiveness of licensed rotavirus vaccines: a systematic review and meta-analysis for Latin America and..